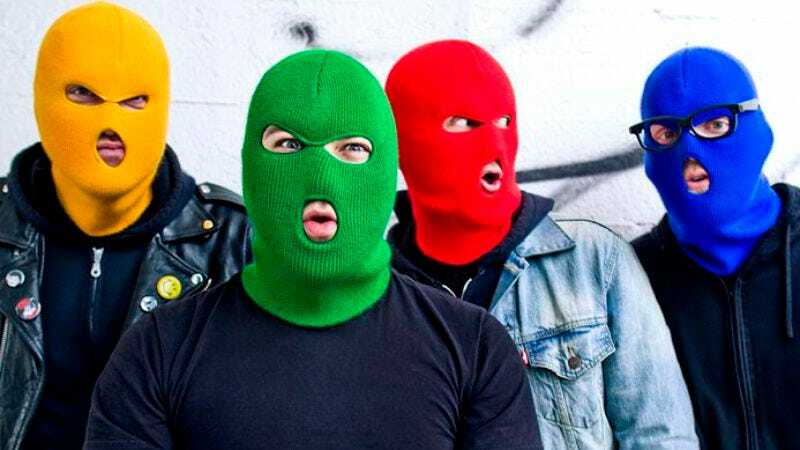 As the specter of ever-more-realistic, high-definition gaming graphics lurks on the horizon, nostalgia for the 8-bit side-scrollers of yore has grown, from a thoroughly bold episode of Community to the newest video by Madison, Wisconsin, pop-punk band Masked Intruder. The punks in primary-color ski masks channel videogames of yore in their new video for “I Don’t Wanna Be Alone” by Patt Fink. Allusions to Super Mario World and even Rush’n Attack abound.